This piece represents pretty desperate times – drought and the breaking of the drought. There is limited access to water so all these creatures are jostling for the precious resource. Thirst is king. 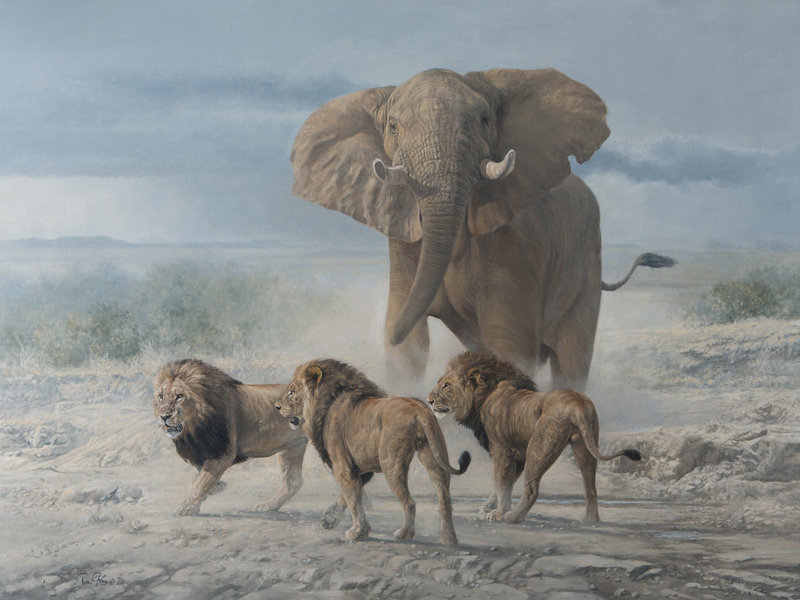 The three male lions try to remain calm and not lose their composure while the elephant stands tall using scare tactics to keep them back. It’s a standoff, but everybody knows their boundaries. I called this piece Friction – there’s not only electricity in the air with the storm brewing, but between the animals as well.